More than 307,000 of the pending records in the Department of Veterans’ Affairs health care enrollment system belong to individuals who have already died, a VA Office of Inspector General report finds. The pending records belonging to dead individuals in the VA system represent 35 percent of the backlog of 867,000 records labeled pending as of Sept. 30, 2014. Released Wednesday, the IG report comes less than two months after a leaked internal VA document indicated that 238,657 of the 847,882 veterans waiting to be enrolled in VA health care, or 28 percent, had already died. At the request of Rep. Jeff Miller (R., Fla.), the chairman of the House Committee on Veterans’ Affairs, the inspector general examined the alleged mismanagement at the Veteran Health Administration’s Health Eligibility Center, which oversees enrollment of veterans in health care and processes applications using the VA Enrollment System. The inspector general specifically investigated the number of backlogged records and the number of those belonging to deceased individuals. 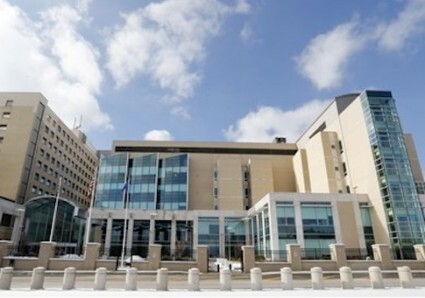 The review substantiated the allegation that well over 800,000 records in the system "had not reached a final determination status," though because of the "unreliable" way in which the data is collected, the count of pending records did not necessarily represent the number of veterans actively seeking enrollment in VA health care. Moreover, at least 447,000 of said records did not have application dates, making it impossible to know when they entered the system. "Although missing dates may occur for multiple reasons, the frequent lack of application dates makes ES unreliable for monitoring timeliness or determining if a record represents a veteran’s intent to apply for VA health care," the report concludes. While the investigation confirmed that more than 307,000 records designated pending belonged to people reported deceased by the Social Security Administration, "data limitations" rendered it impossible for the inspector general to determine how many pending records were those of veterans actively applying for VA health care. "These conditions occurred because the enrollment program did not effectively define, collect, and manage enrollment data. In addition, VHA lacked adequate procedures to identify date of death information and implement necessary updates to the individual’s status," the report explains. Moreover, the report found that VA employees incorrectly designated unprocessed health care applications as completed and may have deleted upwards of 10,000 applications over the last five years. VA also had 11,000 unprocessed applications for health care and 28,000 unprocessed application updates since September 2012 that the HEC failed to identify until January 2013. In response to the IG report’s findings, Pete Hegseth, the CEO of Concerned Veterans for America, called the VHA "ill-equipped" to address the needs of the nation’s veterans. "The VA’s failure to establish and enforce basic quality controls led to thousands of veterans having their benefits delayed, and, in many cases, denied. Worse, due to the department’s abysmal record-keeping policies, we don’t even know for sure how many veterans suffered needlessly or died while waiting for care," Hegseth said in a statement. In conclusion, the IG recommended the VA put in place a "multiyear project management plan" to address issues related to its "creation and maintenance of essential data."